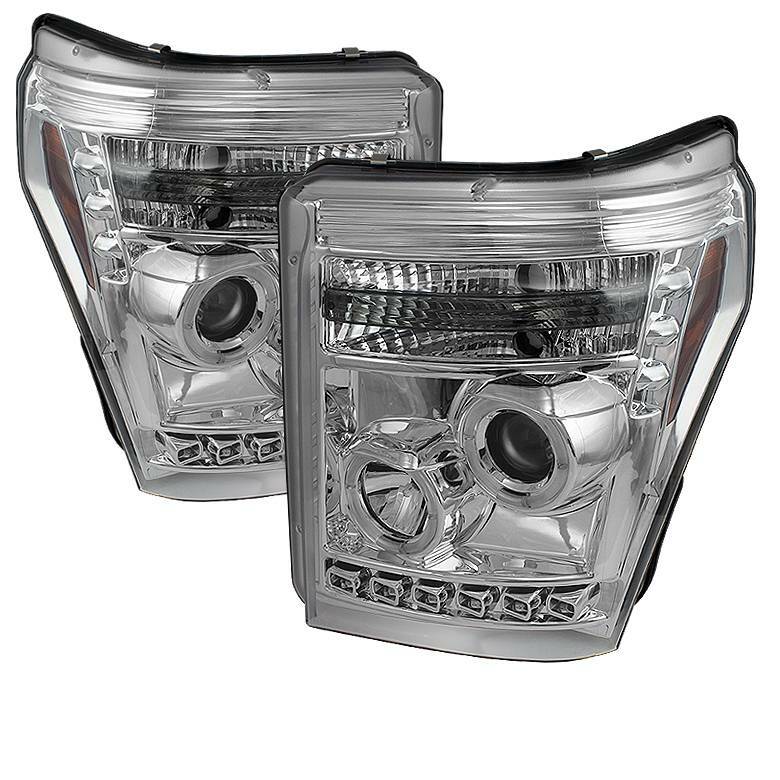 These Spyder chrome CCFL Halo projector LED headlights for your 2011-2016 Ford Super Duty are a great way to make your vehicle stand out. All Spyder Headlights are direct fit replacements for the factory headlights with very easy installation. CCFL (Cold Cathode Fluorescent Lighting) is the ultimate in Halo lighting. Conventional Halo lights use one bulb and their light is uneven. CCFL Halos are filled with gas, like a neon sign, and display the same kind of glow. They’re four times as bright as conventional Halo lights. LED lights are the most advanced form of lighting. Their compact size makes it easy to arrange them in distinctive patterns, as seen on many late model luxury cars. They’re extremely durable, with an average lifespan of 50,000-75,000 hours, which means they’ll probably outlast the rest of your vehicle. 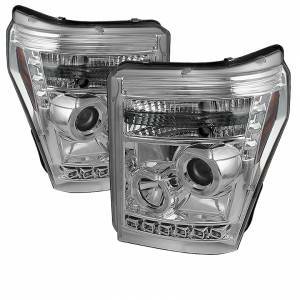 The light they produce is much brighter and cleaner, much more attractive than incandescent light, which helps get them and the vehicle noticed, for increased visibility on the road and safer driving for you. The pattern of the LEDs in these lights is unique, so your ride will command attention wherever you go.